Spectator Life looks at women writers who have had to hide behind pseudonyms or initial, including a theory about George Eliot's choice of surname. Listverse also includes the Brontë sisters on a list of '10 Famous Women Who Disguised Themselves As Men To Get Ahead'. Dorset Echo features writer Carina Axelsson. "Sir Arthur Conan Doyle and Robert Louis Stevenson fired my passion further and led me further into literature. Jane Eyre by Charlotte Brontë became my favourite novel when I was a teenager. I devoured Jane Austen’s books too. I also loved Rebecca by Daphne du Maurier and Margaret Mitchell’s Gone With the Wind. Agatha Christie got me hooked on mysteries." News OK reviews the book Wardenclyffe by F. Paul Wilson. Two Mexican sites list songs inspired by books and both include Kate Bush's Wuthering Heights: Yucatán and De 10. 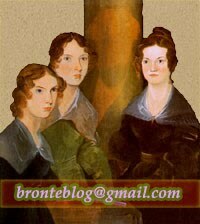 AnneBrontë.org has a post on Nancy Garrs.